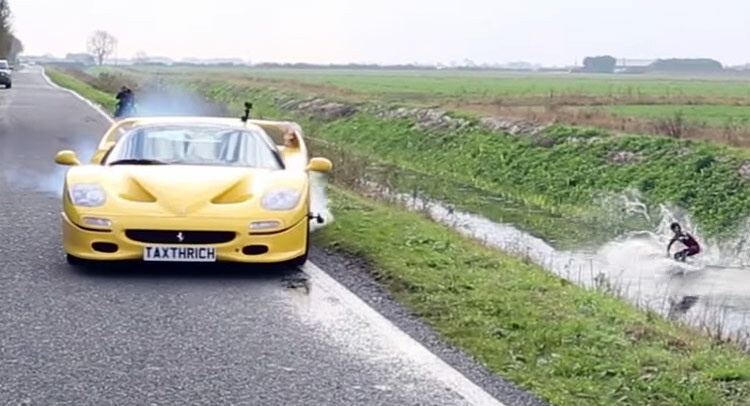 Teen wakeboarding champion Jorge Gill did what he does best on the Maud Foster Drain north of Boston, Lincolnshire, while being pulled by a fancy Ferrari F50, and together with the guys at TaxTheRich100, they recorded the stunt. 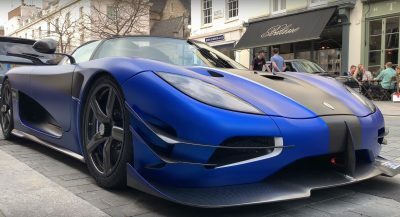 Now we learn that UK cops are investigating the incident after it was reported that the Ferrari supercar was allegedly going over 80mph (129km/h) on a 60mph (97 km/h) country lane. 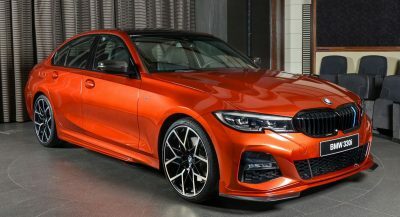 A spokesman for Lincolnshire Police told the Daily Mail: “The footage showing the wakeboarder and the Ferrari has been brought to the attention of Lincolnshire Police”. So, what’s the lesson here kids?